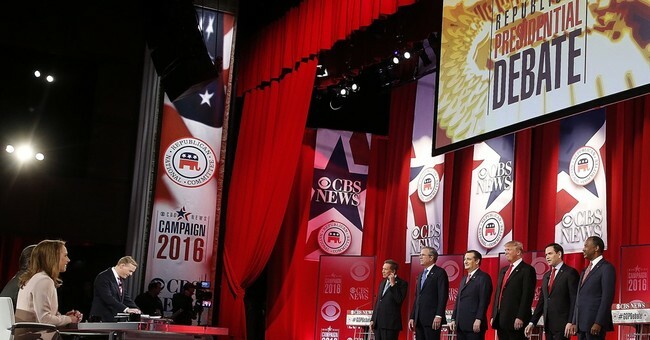 The big loser of the South Carolina GOP debate Saturday night had to have been the audience. It was painfully obvious to all with eyes to see that the audience was cooked, packed with donors backing Jeb Bush and Marco Rubio. In fact, such was the transparency and desperation of the neoconservative Establishment that its attempts to salvage its candidates’ diminishing prospects while weakening the frontrunner and first runner-up were at once pitiable and laughable. In the real world, Jeb Bush supporters are rarer than Elvis Presley sightings. This is consistent with Jeb’s abysmal national polling, to say nothing of the results of Iowa and New Hampshire. Yet to judge from the constant cheering with which debate audiences respond to his remarks, one could be forgiven for thinking that this guy is Elvis Presley come alive again. Rubio is more popular than Jeb, it’s true, but Rubio is also the candidate that finished in third place in Iowa and fifth place just last week in New Hampshire. An alien from another planet would never have guessed this given the audience’s orgasmic eruptions over Marco. That the audience was hand-picked in favor of the Establishment candidates, Jeb and Marco, is a fact so blatant that even leftist observers like The Huffington Post and Vox couldn’t fail to notice it. “Something very peculiar happened at the Republican debate on Saturday night,” writes Vox. “When Donald Trump talked, the audience booed. Yet when Jeb Bush, Marco Rubio, and even John Kasich talked, they got loud cheers and applause” (emphasis original). The audience—the Big Donor audience—was the biggest loser because its over-the-top behavior succeeded in a way that few other things could in accentuating the chasm between the members of the Establishment, on the one hand, and, on the other, the party’s rank-and-file voters: The former vindicated their opponents’ narrative that, one, there is an Establishment and, two, this Establishment is responsible for every evil for which the GOP is blamed. The Establishment audience also harmed its one candidate who may have had some chance of going somewhere in this race. The last thing that Marco Rubio wants is to be branded as the Establishment’s candidate, another Jeb Bush. But after hearing the lobbyists scream wildly over every syllable that Marco uttered in South Carolina, we can now safely “dispel with the fiction” that he is anything but an Establishment candidate. Rubio is one of Saturday night’s losers for another reason: His 1,043 attempt to explain away his support for amnesty reinforced the impression of his untrustworthiness. Now, though, Rubio says that he learned his lesson. However, here’s what some of us are still trying to discern: What is the lesson that he alleges to have learned? The voters were right, Rubio says, in rejecting his proposal, for they rightfully want the border secured before anything further could be done with immigration. Yet didn’t Rubio swear (and swear and swear) three years ago that the Gang of Eight plan did secure the border? Phyllis Schlafly is a legendary veteran of the conservative movement who endorsed Rubio in his senate race against Charlie Crist. Her thoughts about him have since…changed. It’s bad enough that Rubio betrayed (“multiple times”) his supporters. That it was “so public” compounds the betrayal. “He’s a lackey for the establishment now,” Schlafly concludes. If ever there were any doubts about this, the South Carolina audience at the Peace Center put them to rest once and for all.